Feel instant energy from below and conquer miles in comfort;wearing this pair of black walking shoes from Bond Street by Red Tape. 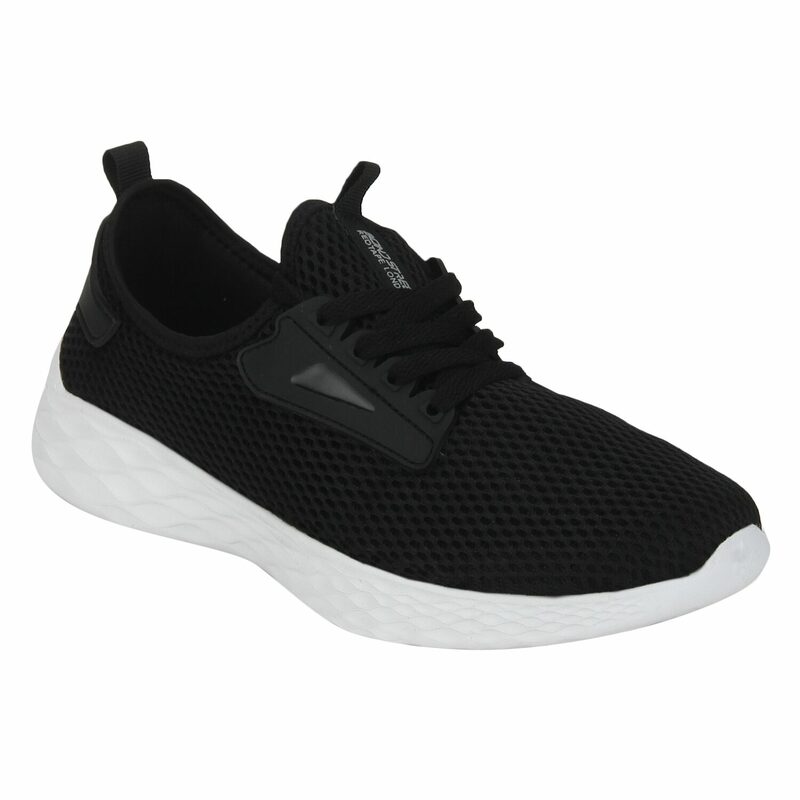 Crafted with knitted textile upper and non-marking durable and flexible EVA (ethylene vinyl acetate) sole to provide enhanced breathability;good cushioning and excellent grip;this pair of shoes also features supportive guards and snug-fit lace-up closure on the front. It can be teamed with T-shirts and shorts.